Liverpool fan Frank tears into manager Jurgen Klopp after his side 1-1 draw at home to Burnley. Liverpool fan Frank tore into manager Jurgen Klopp after his side 1-1 draw at home to Burnley. Speaking to Robbie Savage and George Riley on 606, Frank fumed: "We’ve got one of the biggest circuses at Anfield at this moment, at Liverpool football club, and the biggest clown of the lot is Jurgen Klopp. "Today, we looked good looking forward, and guess what? There was no plan B, and no plan C. Well, I’ll give you plan A for Jurgen Klopp: You’ve had your time, son. At the end of the day, thank you very much but I want a manager that needs to understand football reasons to show that you build a team from the back, mate! "The defence needs to be sorted out! He should have done this. There’s no point in us signing midfielders, and looking good going forward. We need a defence, mate, and he hasn’t addressed this since the first day he arrived!" 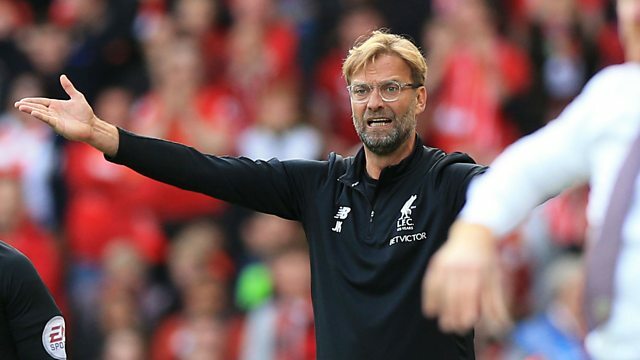 Liverpool boss Jurgen Klopp admitted he was "angry with the result but pleased with the performance" after Burnley frustrated his side, with the Reds racking up 35 efforts at goal to the Clarets' five.